Batkivshchyna Party Leader Yulia Tymoshenko says the new President should enter a direct dialogue with Ukrainian society and initiate the adoption of a new Constitution through referendum to change the clan-oligarchic model of governance of the country, since the current parliament will not give the results expected to society because of its profound corruption. “If the new President sits down with the current parliament to make a deal then he should leave the job. Three quarters of today’s parliament consists of people’s deputies who personify the whole system of corruption and are puppets,” Yulia Tymoshenko said on the program “Right to Power” on channel 1+1. The politician is convinced that the new president can achieve qualitative changes in the country in the six months between the presidential and parliamentary elections. “Without the government, through laws and decrees of the President, we will put tariffs in the right place, raise people’s standard of living, care for retirees, and do everything to have modern education and medicine,” she said. 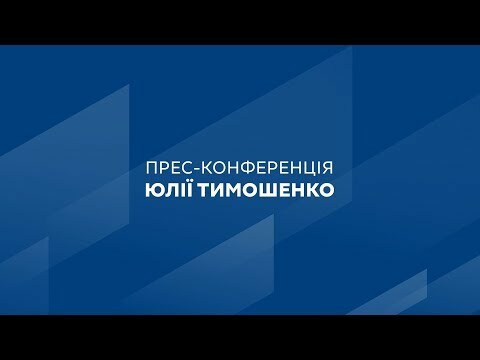 “Petro Poroshenko created Medvedchuk’s SDPU(O) ​​and the Party of Regions, was an integral part of the corrupt clan system, headed corruption in Ukraine while Ukraine was among the 10 poorest countries, and Poroshenko was also the Minister of Economy in the pro-Russian government of Yanukovych,” she said. In her opinion, the current old system “dreams of bringing to power a lap-dog they can manually control, who does not understand anything about the state of affairs in the country and what needs to be done with the old system.” At the same time, the politician assured that her team would remove the old system after the presidential election. “We will end the era of destruction and start an era of rebirth and development. That is how the new Ukraine will look,” said the presidential candidate.